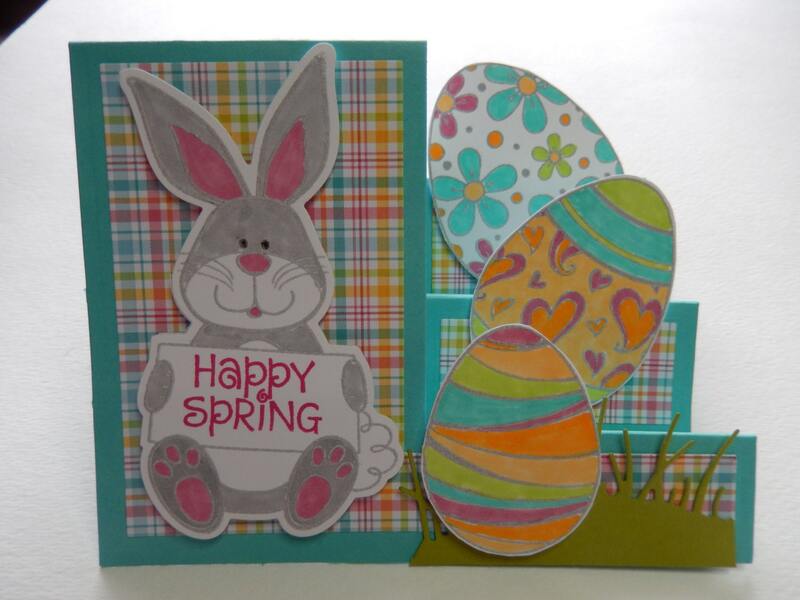 A fun card to celebrate Easter. The stair step base is cut out with a die using the Big Shot machine. The bunny is stamped and heat embossed. He is then colored with Copic markers and cut out with a coordinating die and the Big Shot machine. The eggs are stamped and heat embossed. They too are colored with Copic markers which coordinate with the colors in the plaid background paper. The eggs are hand cut out. 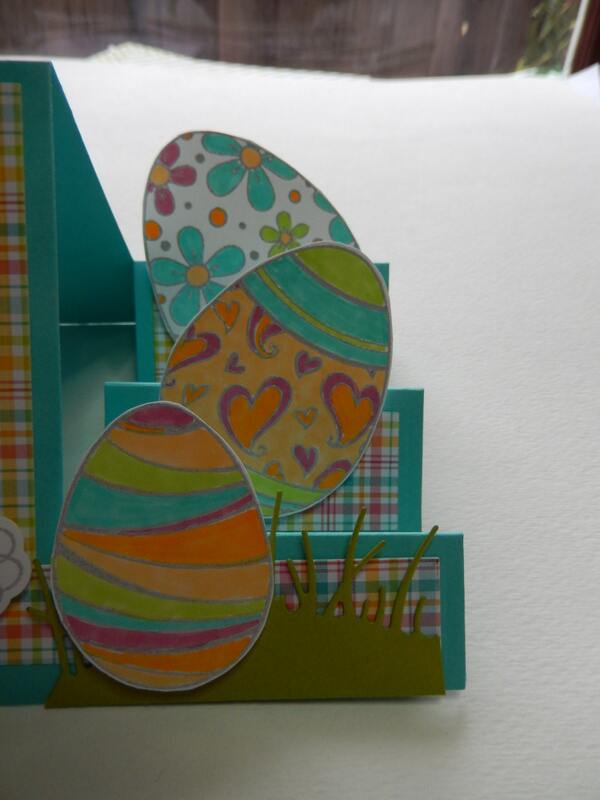 Grass is made using a die cut and the bunny and eggs are adhered to the card with pop dots for added dimension. 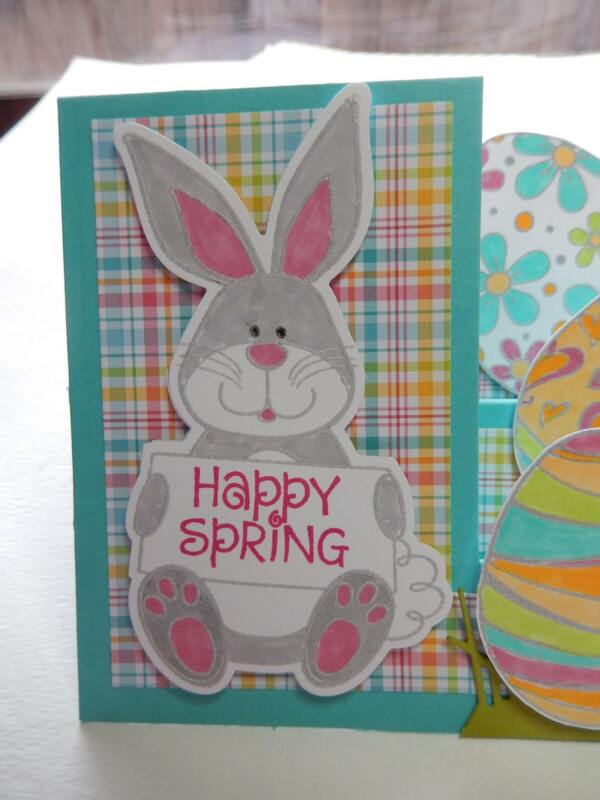 The bunny is holding a sign which reads "Happy Spring". 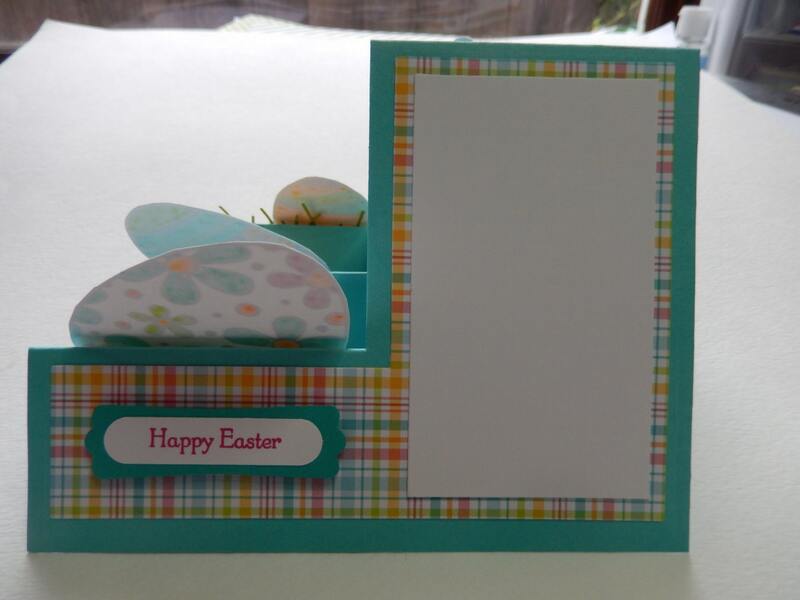 The back of the card has a space for writing a note and has a banner which reads "Happy Easter". The card measures 4 1/4" x 5 1/2" when laying flat and comes with a white envelope. It is shipped in a cellophane envelope and comes from a smoke free environment.